I became a fan of books. Most of my collection is related to psychology, career development, personal development, biography, design and inspirational tales. I truly believe that books, or at least some of them, can enrich you by changing or giving you new perspectives, in some cases, by changing your life! 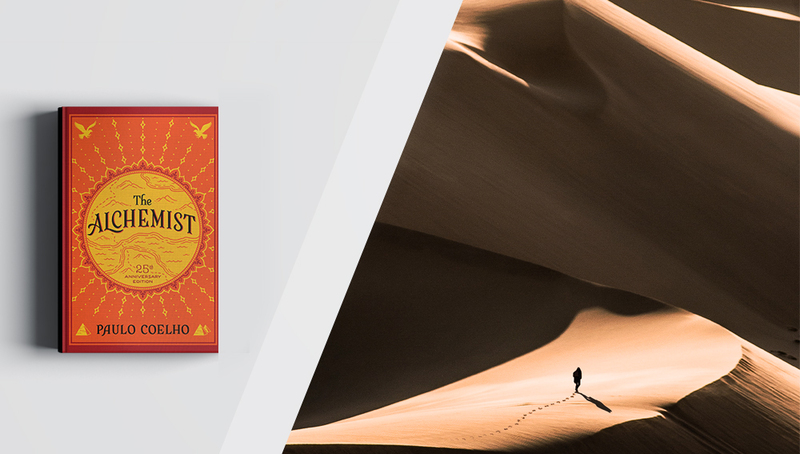 Well, Paulo Coelho tells you a story of a young man - a shepherd - that saw his life-changing. His name is Santiago and he comes from a humble family. But one day he decided to move abroad and discover the world, believing that there is more to live outside his hometown. Now you can imagine that he might have faced some struggles when he starts to give the first steps in his long way journey. Paulo Coelho describes beautiful moments lived by Santiago, as well some mysterious, strange, curious, and terrific ones! Soon, the main character of the story discovers a new and mysterious world, and soon this book started to fascinate me because I could see myself in Santiago's person. Each time I stopped reading, I was eager to open the book and to start to read it again. I do think that this book can change anyone's life because you might be able to create some analogies with your own life or some of your deep desires. Mainly if you are a dreamer. 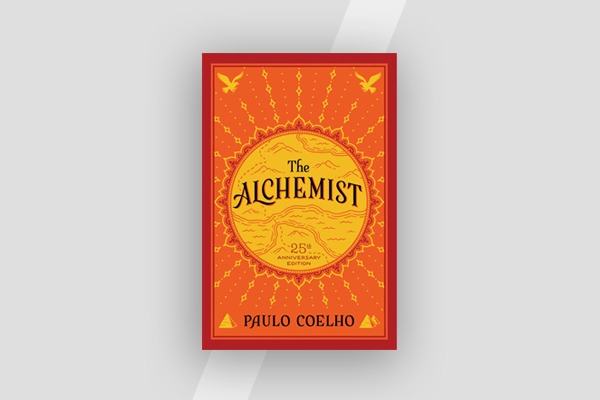 But even if you're not, The Alchemist is a fantastic source of inspiration and motivation. There are some strong and remarkable lessons you can take and learn out by ridding this beautiful parable. Another element that makes this book so readable is the cast of characters. My favourites are Santiago, the alchemist (I would say that this one was his best mentor) and the crystal merchant. Reminds me what some say in real life: to succeed more easily and learn fast, you need a mentor. Really soon the alchemist tells and shows to the young boy and reader, that if you have the real desire to get something, you will succeed! But you need to have passion as well. You have to be unafraid to dream and always brave and gallant. In a scene which takes places in the middle of the desert - before Santiago is putting to test to show his power under pressure - there's a conversation between him and the alchemist "My heart is afraid that it will have to suffer", the boy told the alchemist one night as they looked up at the moonless sky "Tell your heart that the fear of suffering is worse than the suffering itself. (...)". So I believe that we all have dreams and we try to pursue our goals. But most people might give up in the darkest hour of the night, which come just before the dawn. I think the book was such a good read because of Santiago's bravery, and he acknowledges so much about how to succeed in life. There's a lot of sacrifices made by persuading dreams, love, but most of all... the unknown. But the all process and developments are the ones that turn everything incredible and exciting! The Alchemist is a real exploration journey, truly inspiring. And being this book able to captivate the reader through Santiago's moments is simply fantastic! Another thing that I realized was the connections with some others books that I have been reading ultimately. Mainly the one that I've been reading now by Napoleon Hill's bestseller "Think and Grow Rich", which shows you that faith, true desire, love, perseverance, dreams to fight for; all of that - as more of course - are fundamental key elements to succeed in life. You will not regret if you start a new journey with Santiago, the new alchemist! Again... the unknown can bring us to something incredible.